Please read this introductory page before proceeding. If you retrieve the examples of use on http://github.com/epeios-q37/atlas-python, you don't have anything else to install. If you want to start from scratch, there ae two possibilities. You can install the toolkit by installing the atlastk package from PyPI (pip install atlastk). Alternatively, you can download following file: https://github.com/epeios-q37/atlas-python/raw/master/Atlas.python.zip. 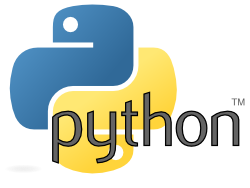 This file must be added in the default search path for Python modules by updating the PYTHONPATH environment variable, or in your source file, before importing the Atlas module, with sys.path.append("<path-to>/Atlas.python.zip"). If you have any suggestion on how to ameliorate the installation process, you are welcome to create a discussion or to participate to a related one in this forum.